Groundhog Day is one of the silliest holidays of all! It’s coming up this week on Saturday, February 2nd. What, not a school day??? Well, then put a little Groundhog Day math into your Friday plans, just for fun! This set of math riddle task cards is another easy way to integrate math activities into Groundhog Day in your classroom. Your students will solve the expressions to eliminate three of the possible answers. When just one number is left, they’ve discovered where Mr. Groundhog’s shadow is hiding! What math skills do these riddle cards address? 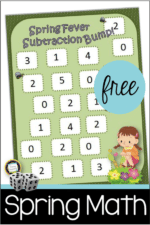 … in other words, just what your first graders and second graders can use some extra practice with right now! Use your document camera to model solving a card or two together. 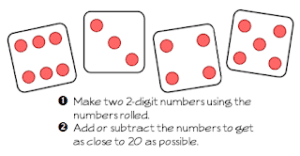 Then, use the cards as a math center activity this week. Use the cards for challenge work or with early finishers. These riddle cards will have your little learners thinking so much harder than a worksheet! Use them with a small group. Working closely on these cards with just a few students at a time provide opportunities for lots of math talk. Use them with partners. Again, a great opportunity for some great math conversations! Can’t do holidays in your classroom? This set is a great example of spiral review, and I’d sure hope that an administrator would have no objections to that! Here’s a look at a few more cards. There’s a recording page included for accountability. Just a half page, actually, to help you save on paper and ink! 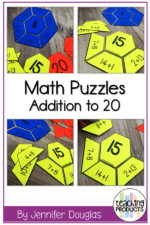 I hope that you and your students will have a great time using these math riddle task cards! Click here or on any of the picture to download them. Fern Smith’s Mouselike Flash Cards!